CarolinaCupcake Makeup: OCC- Primary Pack- Swatches Galore! 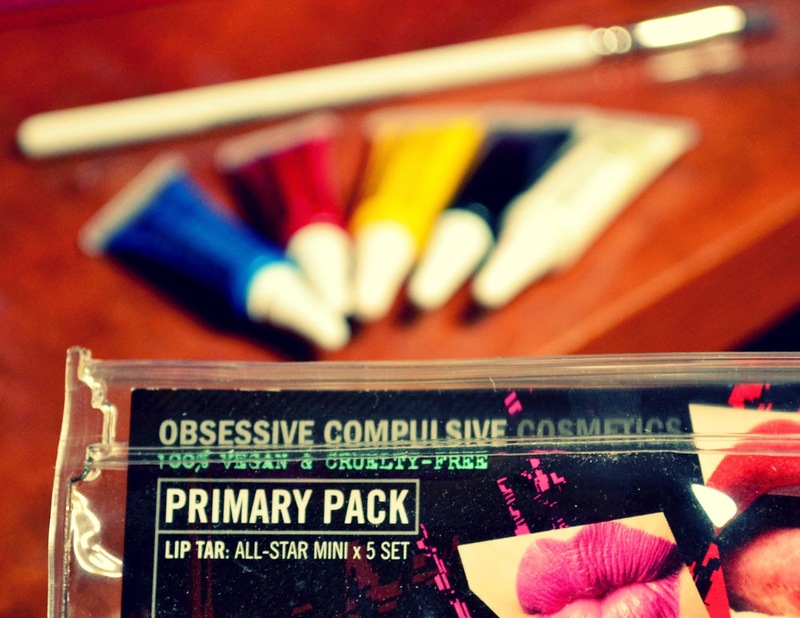 OCC or Obsessive Compulsive Cosmetics are well known for their lip tars (not made with tarr). They are gluten, vegan and cruelty FREE! These lip products are super, highly and intensely pigmented (and yes, the three adjectives were necessary)! They have a million different colors and they finally came out with an all star mini kit. This kit contains all the primary colors (blue, red and yellow) as well and black and white. 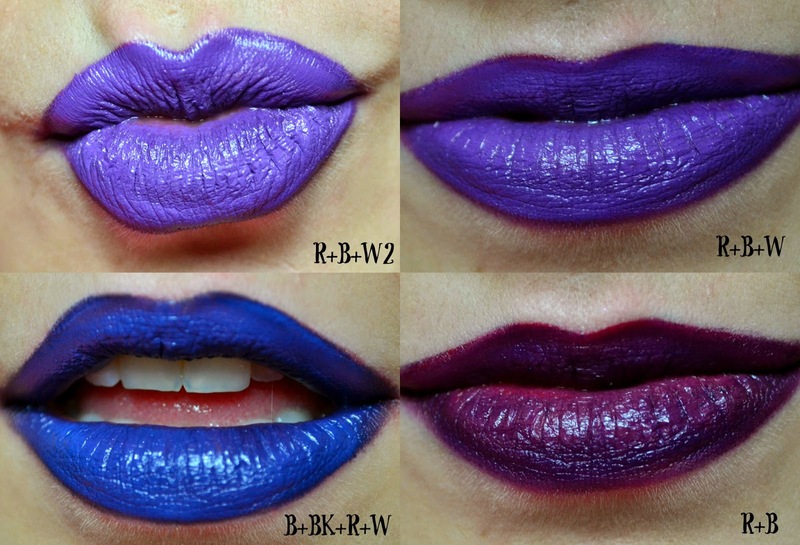 With these colors in your arsenal, you can LITERALLY DO ANY LIP COLOR YOU WANT! The possibilities are endless! 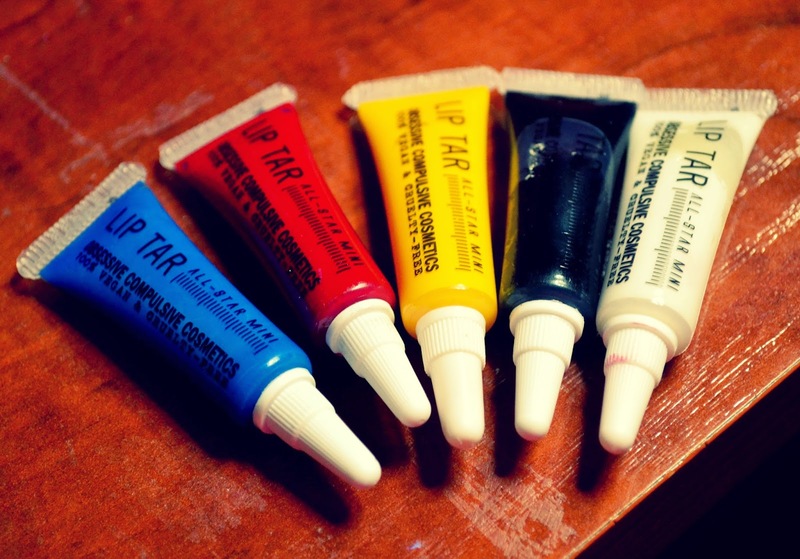 These lip tars have a kind of mild minty flavor that goes away when dry. They go on super shiny but dry down to a matte finish. They stain the lips, and last a long time :) This pack also comes with a full size lip brush, which is the perfect tool for applying this product. 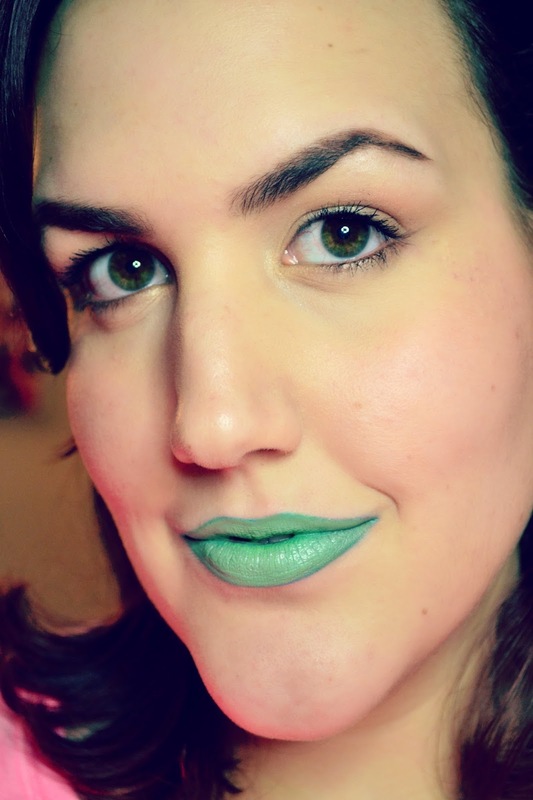 You only need a small dot of the color to cover your lips and a pin point amount of another color to mix! I would suggest using a lip liner with these colors because they do tend to feather at the lip line. Now on to COOL colors! Let me know your favorite combo!